“There are seven vital places in your body, of which five are significant. Ganeshji sits on the small of your back; Vishnu and Lakshmi sit on your genital area, Brahma somewhere in between, Shiva and Parvati over your heart, and Durga on your nape. “Two chants are important for you. Previously only one, as taught by Guru Nanak was important, but now two are vital. If you have faith, even if the doctor had given you up, you will be totally cured, cancer or Cancer ka baap (father of cancer), cure is Guaranteed. If this Supreme Soul chants the first one within your earshot and you repeat the chant after him, He guarantees that you would not die, and supposing you die, despite the divine guarantee, then He guarantees that you would take human form in the next birth, nothing less. If you learn both chants and repeat them, He guarantees that all your sins will be forgiven and you would take human form, birth after rebirth and live blissfully until you attain moksh, salivation. That is also guaranteed. Thousands of people in the audience can bear witness to this serial guarantee. “The Supreme Soul commands that you must not go to temple or on pilgrimages, or worship Shiva, Vishnu or the Brahma. Do not hold funeral rites. Anyone can light the funeral pyre. No need to throw the ashes in the Ganges or running water. Just let it lie there. (Makes sense to me). Smoking, drinking and adultery are prohibited. So you have white men’s prophesies to ratify the above truth. White men’s prophesies and certificates establish (‘guarantee’) the truthfulness of any Indian god’s claim to godhood. Recall Bhagwan Sathya Sai Baba who always had a few whities accompanying him to convince the brownies of his godhood. Satguru Rampal Ji Maharaj, the current Supreme Soul has Indian witnesses as well on record, too many to name here. Among those who eulogize his powers, on the verge of devotional tears, is an ex-policeman who was assigned to guard the God when He was previously lodged in jail, his former jail warden (both probably thrown out of their jobs in the cause of their devotion), an IAS Officer and woman of the Arya Samaj are among the video-taped witnesses. You would also come across the testimony in parrot-like narration of a six-year old girl who tells you the wonders of the heaven, Satlok, that the Supreme Soul took her to and showed her around. She had a glimpse of hell as she was being led to the heaven, but Rampal Ji Maharaj instructed her not to look. Incidentally, it has not occurred to anyone yet to look into the angle where gods take little girls and boys to see heaven. We have heard of Sathya Sai Baba who took little (mostly white) boys to arouse their kundalini and showed them heaven as well. Some children complained that only Baba’s kundalini was aroused. How do you know that Satguru Rampal Ji Maharaj is the true Supreme Soul? The original Supreme Soul, the creator of all three worlds, was god Kabir (also known as Allah Kabir, because “Ved, Gita, Quran, Bible and Guru Granth Sahib all these are nearly same“ – who lived as a weaver in Benares in the sixteenth century. God Kabir, you heard right. The first Supreme Soul with his first name in English, and his surname in Arabic ( short for Al-Kabir, the Great). Alternatively, in full Arabic, Allah Kabir. He is the master of the universe. This epic story, narrated by the Satguru himself, would explain how it happened. Guru Garib Dass who died in 1778 AD wanted to acquire gyan, divine knowledge. He went to god Kabir who died two hundred years earlier in 1518 AD and placed his query before him. In answer, god Kabir took him to heaven called Satlok. (I suppose that since gurus are also gods, so they are able to time-travel). There Garib Das found a haloed Supreme Soul sitting on a throne. As soon as the Supreme Soul saw god Kabir, he arose respectfully and offered his throne to god Kabir. God Kabir sat down on that throne without hesitation, and the Supreme Soul merged with him. Now Garib Das realized that the weaver who lived in Varanasi (more than two hundred years before) was not just god Kabir, but was God Kabir (with Capital G), or the Supreme Soul himself. Do all these stories appear weird to you? They shouldn’t. Not if you believe in the seven-headed beasts and seven-eyed lamb and a God who does justice by shedding blood of cities and the blessed men washing their feet as revealed in Revelations, or of monkeys with huge extendable non-flammable tails and super-superman powers who could speak Sanskrit , of god-heroes who destroyed 14,000 forest dwellers in one day to make it easy for bearded interlopers to do their weird rites to pollute the forests as in Ramayanam, or of a sun that rises in a swamp in the East and sets in another swamp in the West, or of the visible miracle of sky-dome being held up without a single pillar as in Quran, or of a god who could materialize Rolex watches with original label and emblem and all by his divine powers without breaking patent laws as in Sathya Sai Baba claims, you being an educated professional or whatever, why would the suffering villagers of Haryana, Uttar Pradesh, Bihar or Nepal think that the epic I cite above is weird? Supreme Soul Rampal Ji Maharaj was born in a humble Haryana family like any other rustic child (just as Krishna was born in jail and brought up by cowherds). He, having acquired a diploma in engineering, joined Haryana agricultural department as a Junior Engineer. While serving the department, he spent time practising forty odes to Hanuman (Hanuman Chalisa) until he met a guru who enlightened him that he was wasting his time, that gods like Vishnu, Shiv and Brahma were perishable gods, that the real God was god Kabir. Thus enlightened, Rampal Ji realized his responsibility and spent his time going from house to house and spreading this true knowledge. When the knowledge reached the ears of his superiors, who obviously were not pious enough, and had noticed that he was never at work, they told him to resign or else… Having realized that he was indeed the incarnation of the Supreme Soul, he resigned the mundane job he was supposed to be doing while proselytizing for god Kabir. If you argue that he was thrown out, the Supreme Soul can give you the file number and letter number of his resignation. By then sufficiently enriched spiritually and financially (remember that he was a J.E. in the irrigation department where farmers worship you even if you were not god) Rampal started an Ashram – a resort for Gurus of the kind – in Rohtak in Haryana., A certain sect of Arya Samaj took umbrage when he spoke ill of their founder. Now Arya Samaj is a break-off sect from Hinduism, with a strong foothold in the area. Riots ensued. According to Rampal Ji’s own website, rounds were being fired in air from the ashram as well in self-defence, and a woman, women being always the expendable victim, died in the Ashram. 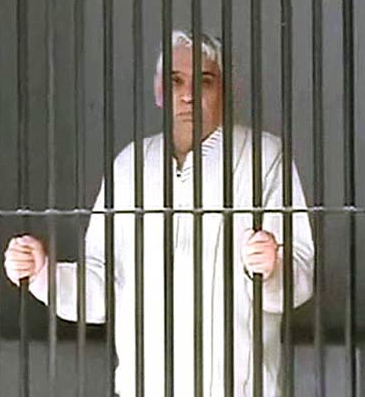 Rampal was arrested and put in jail on a two-and-a-half year tenure. The website goes to show that the jail warden and a jail guard worshipped him. Satguru Rampal Ji Maharaj shared a link. Quite expectedly, neither the Pope, nor the Ayatollah of Iran, Archbishop of Canterbury, anyone among the several Shankaracharyas of India, Nirmal Baba, Asaram Bapu or his son, Shri Shri Ravi Shankar who was once game for Zakir Naik’s challenge, and not even DR. Zakir Naik, the perpetual one-side debater and a challenger by his own right, accepted the challenge, thereby accepting their defeat. “It is God’s rule that “Pure gold does not fear the flame”. Such injustice and oppression is being done by some contemporary politicians and corrupt officials. Some corrupt judges are even tarnishing the image of the court of justice. Even in Supreme Court and High Court some selfish judges are doing injustice for their self-interest. Even they, instead of justice, have only done injustice”. Rampal came out of jail, and shifted his abode from Rohtak, together with his fleet of Mercedes Benz and BMW cars to a 12-acre Ashram in Hissar, fitted with massage beds, gymnasium, private swimming pools, spa et al for himself and lesser housings for lesser beings, somewhat like, I guess, the Sri Sri Ravishankar Ashram in Bangalore that I once stayed in for a week.. Here, in this Ashram, the Supreme Soul takes bath in pure cow milk, which is collected in large cauldrons for preparing kheer (a sweet made of milk, sugar and a cereal such as rice) as Prasad (blessing) for the devotees. Thousands – educated and uneducated, professionals and jobless, young attired in goggles and jeans, old in their dhotis and pyjama and women with babes in arms throng to get a palmful of this Prasad for eating. Who wouldn’t want to wash away his sins after strangling his or her girl babies at birth by eating any Prasad, even the thing that contains the sweat and filth of a Supreme Soul such as Satguru Rampal? State Election came, and it seemed like heyday for the Supreme Soul. The two main rival political parties – the Congress and the BJP – went to Him for not just blessings, but also for campaigning by way of satsanghs (Holy meetings) on their respective behalf. They appealed to him just as Arjun and Duryodhan went to the other Supreme God (Supreme Godhead, as per ISKON founder). Here this Supreme Soul made a holy error. Thinking this was an opportunity for Him to expand His billions-worth universe of the faithful, He put up his price way too high. Even Gods make mistakes. (Remember how another Supreme Soul thought it was safe enough to accept burnt and piece offerings of Abel and to reject Cain’s vegetables and thereby got his favourite Abel killed?) In this case, this Supreme Soul offended both Cain and Abel, forgetting that no God is above an infuriated government supported by the (relatively unarmed) Hindu militia known as the RSS. 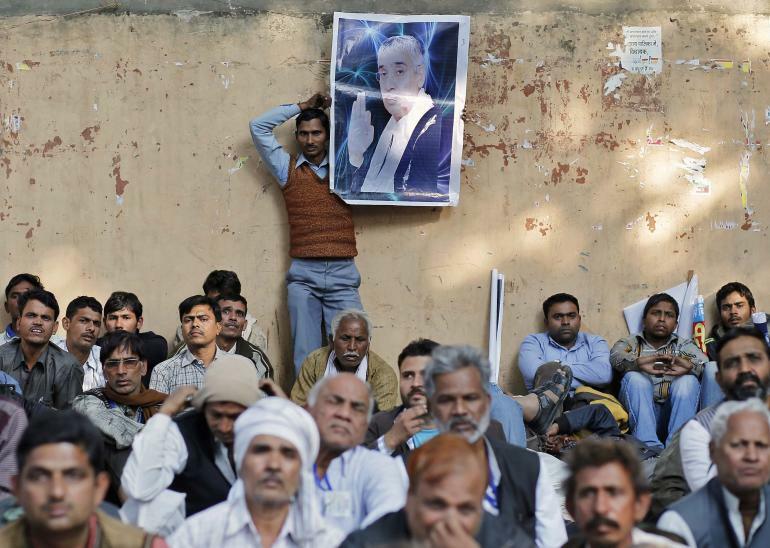 However the Indian judicial system kept grinding at its steady, albeit slow pace.. The courts ordered Rampal ji to appear before them to answer questions on the death of a woman. Expectedly, being the Supreme Soul with a following of a hundred thousand lesser souls, Rampal Ji rejected the summons with the contempt they deserved not once, but some forty-three times. Unfortunately, the courts interpreted it as contempt of the court and issued a non-bailable warrant. Unlike Ravi Shankar’s more modest Ashram, Rampal Ji’s Ashram (also called Satlok, True world or heaven) had a wall twenty-foot high with 2-foot wide brickwork to protect the Supreme Soul from interfering sinners like the police and judges, not to mention tax collectors, the tribe cursed by another Supreme Soul, Jesus Christ, and gun-license inspectors cursed by one and all. This Supreme Soul Rampal Ji keeps a militia of over two hundred armed men to guard him; and thousands of devotees are always on the alert to keep him away from interfering courts and arms of the law. However, just as every dog has his day, every god has his bad days. The High Court gave an ultimatum to the police : Get that man before this court in the next couple of weeks. 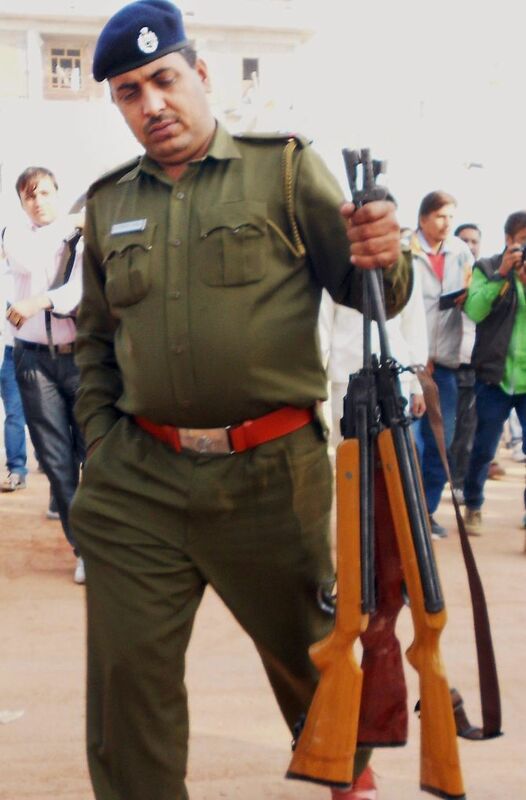 The police of Haryana, some of them possibly with divided devotion, got into action. The Satlok Ashram was surrounded. Warnings were poured into the ears of the Supreme Soul to surrender. The God had men, women and children shielding him. Those who were not willing to do the shielding were forced to do it. Who fired first is a divine mystery. Police forced the issue initially by using tear gas grenades and such mundane weapons as lathis (bamboo sticks invented by the British for Indian police) . Supreme Soul’s men, fully armed fired as well. Bullet-proof jackets were found; detectives are trying to solve the mystery how and why military bullet-proof jackets were acquired by God. Two policemen were injured. Five women and an infant lay dead inside the compound of the Ashram. Not shot, no bullet marks on body, as per the postmortem report, but beaten to death by a blunt instrument. After days of stand-off, the Supreme Soul was captured. The police charged him with what appeared to be unassailable but what are actually hard-to-prove charges – sedition, murder and a couple of other crimes. Assuming religion and spirituality do not otherwise cause fear and disgust, truer words were never spoken. For the amazing sexual escapades of this Supreme Godhead, click here for a NDTV Report.